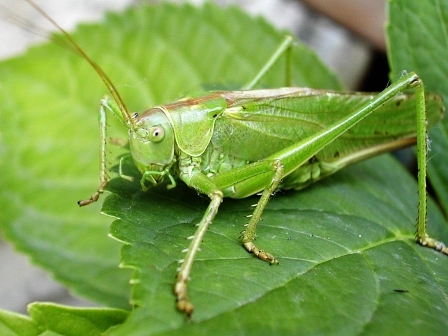 Crickets, family Gryllidae (also known as "true crickets"), are insects somewhat related to grasshoppers, and more closely related to katydids or bush crickets (family Tettigoniidae). They have somewhat flattened bodies and long antennae. 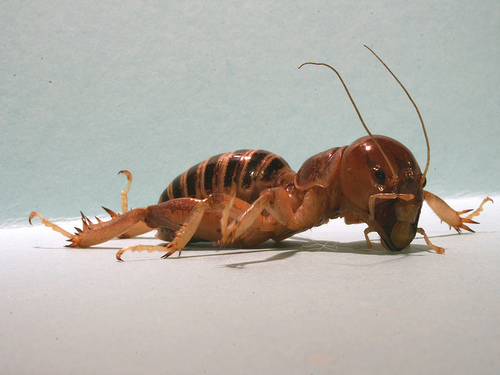 There are about 900 species of crickets. They tend to be nocturnal and are often confused with grasshoppers because they have a similar body structure including jumping hind legs. 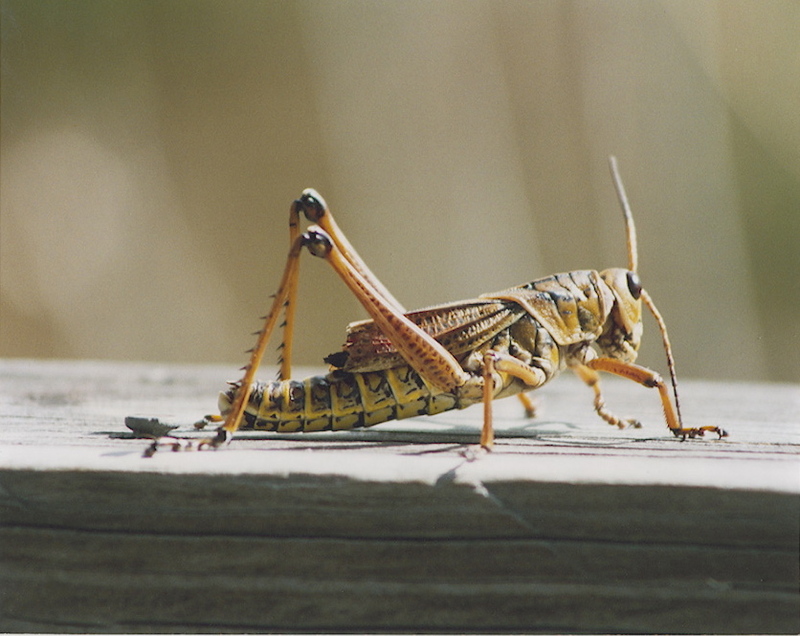 Crickets are harmless to humans. 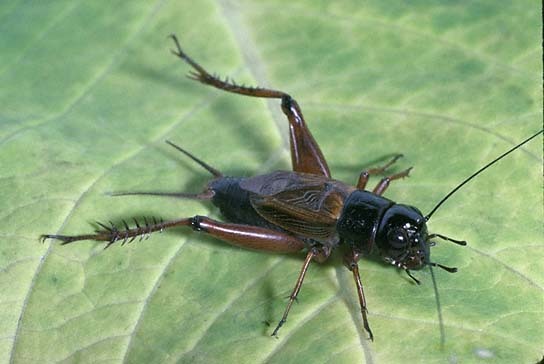 The sound emitted by crickets is commonly referred to as chirping; the scientific name is stridulation. Only the male crickets chirp. The sound is emitted by the stridulatory organ, a large vein running along the bottom of each wing, covered with "teeth" (serration) much like a comb.